ALANA would like to send our condolences to the friends and family of Anthony Nazaire of Ithaca College and Darryl Wu '18. As our community mourns the loss of these young students, we want to encourage the everyone to continue to support one another. BLACK STUDENTS UNITED (B.S.U.) is an Umbrella organization for all Cornell University Organizations that predominantly represent students of the African-Diaspora. They aim to support and collaborate with cultural, professional, academic, social, political, service, and performance groups on campus. 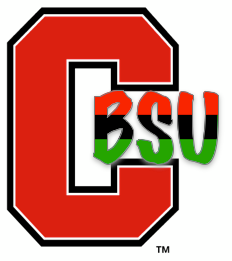 BSU advocates for the intellectual, human, and systemic needs of African Americans, African, Afro-Caribbean, and Afro-Latino peoples at Cornell by educating and providing our peers with the essential resources required to ensure a higher success rate for each individual within our community. The Telluride House is a coeducational community of Cornell undergraduates, graduates and faculty passionate about self-governance, community, and intellectual inquiry. All house residents receive room and board scholarships. We are currently accepting applications for the academic year 2017-2018 and will be hosting our annual Open Houses on Tuesday Sep 6 and Wednesday Sep 7 from 5-7pm. 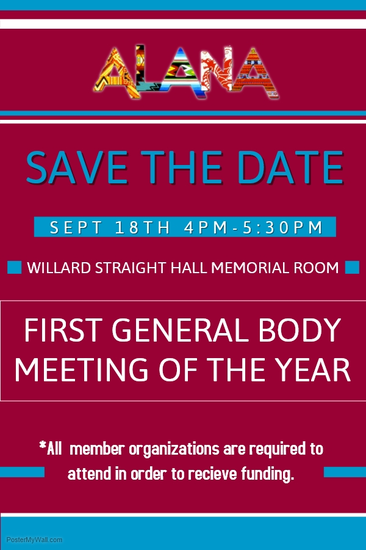 Feel free to pass by to learn about the house and the application process, and enjoy some snacks! For more details, see the Facebook event (https://www.facebook.com/events/534282903445632/). To learn more about the house and the application process, please visit our website (telluridehouse.org/apply) and feel free to email us at cbta.apply@tellurideassociation.org. As Indigenous Peoples' Day's inclusion on the official Cornell University calendar is awaiting a final decision, Native American Students at Cornell (NASAC) is hosting an Indigenous Peoples' Day Celebration on Saturday, October 15th, beginning at 5:30 in the Willard Straight Hall Memorial Room. We want to celebrate our diverse cultures while demonstrating university-wide support for official recognition of Indigenous Peoples' Day. This is an open call to all Native American and Indigenous students and organizations to contribute to the celebration. We're looking for performers, food vendors, art/crafts vendors, and informational or activity tables related to Indigenous cultures. We're hoping to make this a big celebration filled where you can watch performances, buy delicious food, shop, and learn something new about Indigeneity. 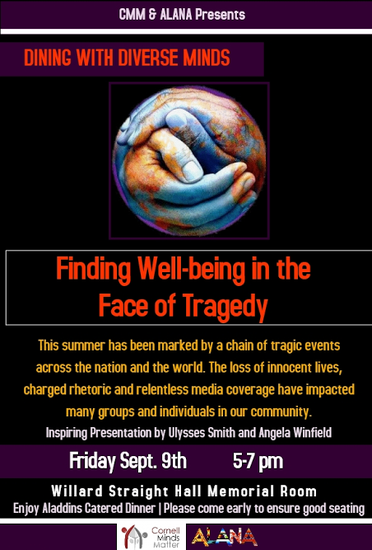 If you're interested in contributing or if you want more information, please contact Skye Hart, NASAC's External Relations Chair, at smh337@cornell.edu. Please sign up by 9/16. Welcome Back to Campus! The ALANA A-List showcases the top events in the multicultural community happening on campus. Listed above are events you do not want to miss! Please email hdy3@cornell.edu to be featured on the next addition of the A-List.